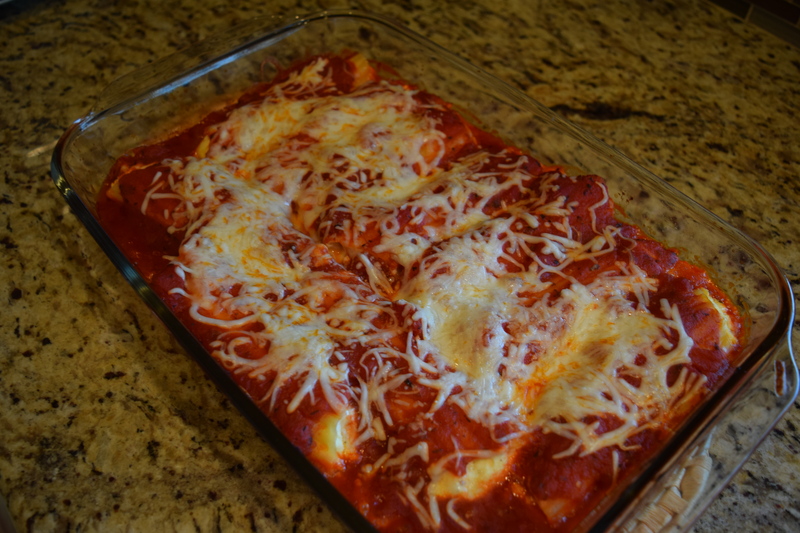 Manicotti is one of those meals that is perfect for any occasion and, best of all, it is even better the next day. When we’re looking for a meal that can satisfy our tastes as well as offer multiple dinner options, manicotti is an excellent choice. The spaghetti or marinara sauce can pull double duty and be frozen or put over pasta later in the week and the leftovers make a wonderful lunch as well. 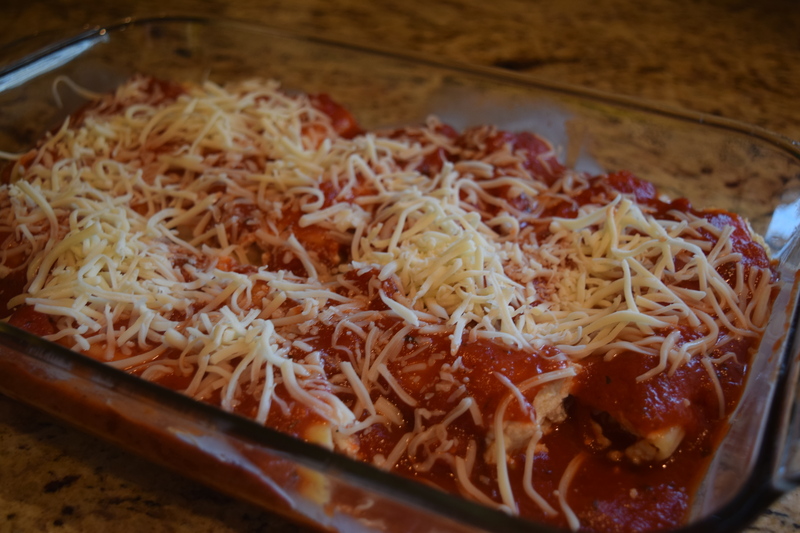 Baked manicotti can be made for a large party or for just the two of us, which works out perfect with our busy lives. 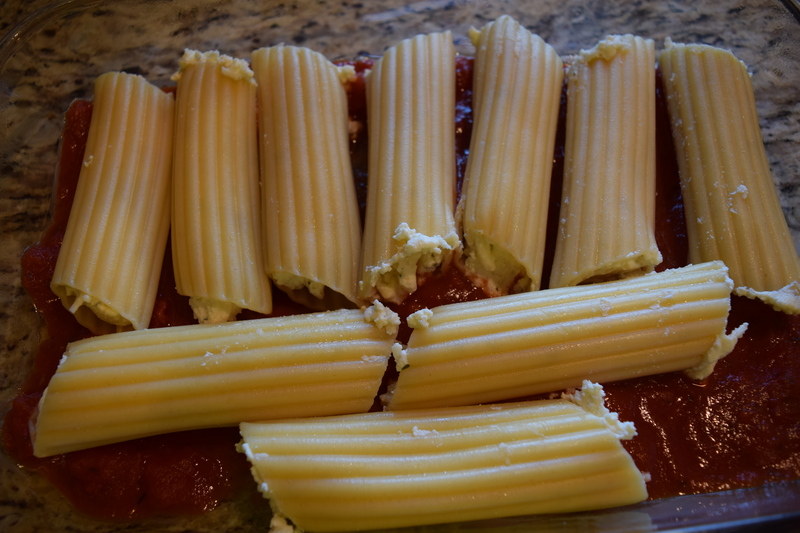 1 box Manicotti Shells (10 shells) – If you can’t find manicotti shells, you can substitute cannelloni shells. 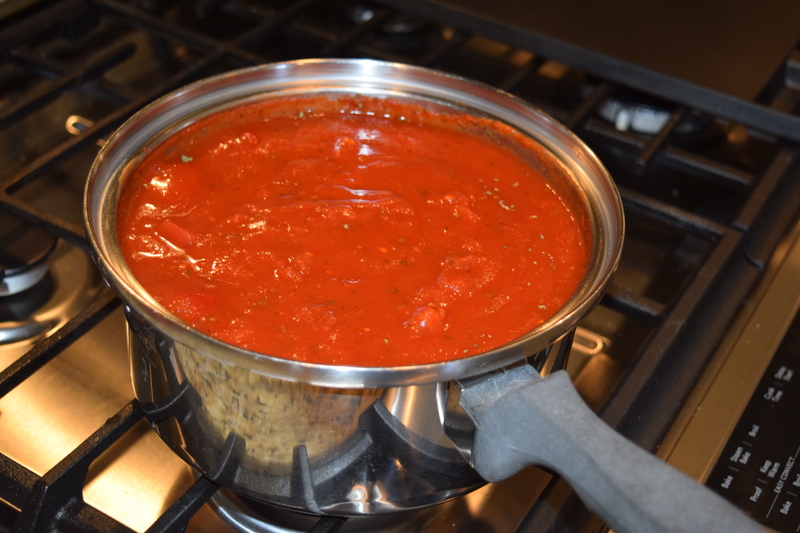 2 cups Spaghetti or Marinara Sauce – we used our own semi-homemade sauce, but you can use your favorite sauce. Cook the shells according to the box instructions leaving them slightly al dente since they will be baked afterward. 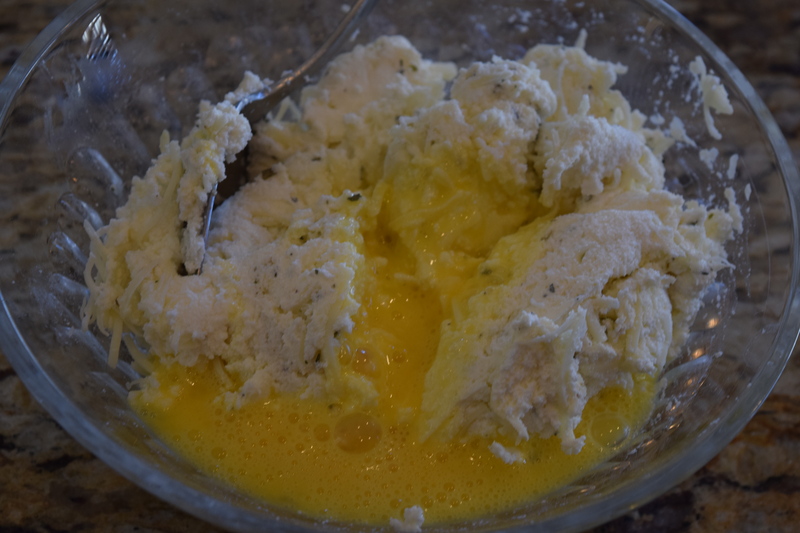 Mix the ricotta cheese, three-quarters of the mozzarella cheese, garlic powder, Italian seasoning, egg, salt, and pepper in a medium-sized bowl. In a casserole dish, spread about a half a cup of the sauce into the bottom of the dish. When the shells are cool, stuff them with the cheese mixture and place into the casserole dish. Cover the shells with remaining sauce. Top with the remaining mozzarella cheese and parmesan cheese, if using. Bake in a pre-heated oven at 350 degrees for thirty minutes or until the cheese is melted and the sauce is bubbly. 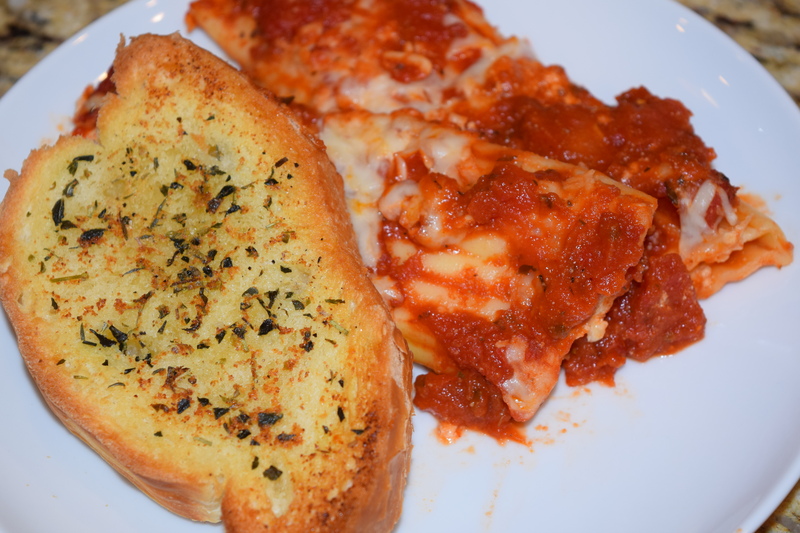 This entry was posted in Recipes and tagged cheese, comfort food, dinner, Food, italian, manicotti, pasta, recipe. Bookmark the permalink. I can’t remember the last time I had manicotti. Your dinner with that crunchy looking bread looks good.